How to get rid of gnats in the house? This would be the question in every American house owners mind who suffer from this pesky and tiny gnats. Gnats are tiny in nature, harmless but they are very irritating and annoying insects. To answer the question, Below is the quick of getting rid of gnats and fruit flies few are the ways are fast and easily help you to get rid of gnats from your house. To begin, First we need to identify where do gnats come from and what attracts gnats, So that we have complete source information about gnats in the house. Indoor Gnats - Mainly seen around the kitchen sink, drain and bathrooms. They reproduce and multiply inside your house. In General, There are 2 stages in getting rid of the gnats. Controlling the Gnats - It is the process of knowing how to control the gnats by identifying their breeding sources and destroying the breeding sources thus leaving only the adult gnats. This helps to keep the gnats population in control without allowing them to increase. Exterminating or killing gnats - It is the process of eliminating adult gnats that are left after cleaning and destroying their breeding sources. This is an important process in getting rid of gnats from your house since we had already destroyed the breeding place of gnat and leaving them no place to lay eggs and hatch. This is the most important step, first we need to identify the type of gnat that gives problem to use to know their breeding source. Otherwise, you will end up in guessing about their source and it will make extremely difficult in getting rid of adult gnats. Once you are able to identify gnat type, you can easily identify their source of breeding using the below table. Decomposing leaves, decaying weeds & drying grasses etc. Tip: Except buffalo and sand gnats, all other gnat’s breeding place will be within 100-800 meters of gnat infestation. You can find eye gnats in the pets (Dogs & Cats) or in the cattle. In most cases, Fungus Gnats can be found around the indoor plants. If the fungus gnats are found near the plants, stop watering the plants for 3-5 days. Also, remove the moisture and dampness of soil of indoor plant by placing an extra layer of soil or coarse gravels. Other common sources of breeding place are inside the kitchen and bathroom areas. If the breeding source is found, wash it clean and make sure the place is dry. In some case, the breeding source would be outside, where there may be standing water nearby your house. Check for standing water or decaying plant or animal substance outside the home and eliminate them to get rid of gnats outside. The next step in controlling the gnats is to monitor. Once the gnats breeding place is destroyed, it is recommended to monitor those destroyed places for few weeks. At least 2-3 weeks to ensure the same place is not again becoming the breeding source of gnats. If you see any signs of gnat breeding place repeat the destruction process again to exterminate the gnats. This is the next stage in getting rid of gnats in house, kitchen and outside. We have listed 54 ways to kill gnats and get rid of them. Below are the most widely used homemade traps that are effective killing and getting rid of gnats inside the house. This is the most common and reliable homemade traps to kill gnats. To prepare this trap, you will need some apple cider vinegar, sugar, dish soap, water, and wide open container. Prepare a mixture of two tablespoons of cider vinegar, 1 tablespoon of sugar, 10-15 drops of soap, and a liter of water. Stir and mix this mixture well. Place this container containing mixture near the area where most gnats are hanging around. The smell of apple cider vinegar will attract the insect, flies and gnats and they will succumb to their death when they touch the mixture. Prepare this mixture in large quantity and fill it in wide open contains as many as you want and place near gnats activity. This is one of the best homemade trap that helps you to get rid of gnats overnight without much effort and can be done quickly. Note - This apple cider vinegar mixture trap may not work sometimes in getting rig of bitting gnats due to wrong ratio or quantity of ingredients added. So please prepare the mixture as instructed. To prepare this gnat trap we need red wine and white transparent glass bottles. No need to go for expense red wine, cheap wine will do the trick. Pour wine into a glass bottle and wrap the top with plastic wrap then put some holes in it, not big holes. Place the glass bottles near the presence of the fruit flies and gnats during the night. Next morning your will see a lot of gnats trapped inside this wrapped wine bottles like a magic happen. The scent of red wine will attract the gnats and fruit flies when they touch the red wine they will drown and die. you will have to make sure to place this red wine trap where gnats are coming from. To prepare this trap, you will need a banana or slightly rotten fruit, soapy water and transparent glasses. This works similar to the red wine trap. 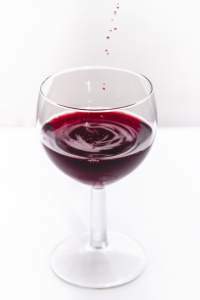 Replace the red wine with rotten fruit and mix it with soap water. Wrap the bottles with plastic and make few holes into the plastic wrapper. Soap water mix will not allow the gnats to breathe and you can see gnats fallen to this trap in the morning. Although the common source of gnats are kitchen sinks and bathroom, But besides kitchen and bathroom many have been affected by gnats under the beds and washbasins. So don’t forget to one under the bed from the above listed traps to remove gnats. We need the following things to prepare the trap. Crack 4 eggs into the 1 gallon plastic container and fill the remaining with water and mix egg and water to mixture for about 5 to 10 minutes till all the egg gets mixed well with the water. Fill the large 2 liter bottle with this egg solution about 1/4th of the bottle capacity and put few holes on top of the bottle. Hang this bottles at 2-3 feet above the ground and away from kitchen or windows. Repeat the same for remaining bottle and place it near to gnat population area. Move the remaining mixture into refrigerator immediately. Check the bottle for every week and replace the egg-water mixture after every 3 weeks. This one is a very simple trick that keeps flies and gnats away from home. We need a Ziploc bag and a penny to do this trick. Fill the Ziploc bag with water and put a shining penny inside the water-filled Ziploc bag. Hang this bag around where there is light and gnats will go away. Why? Gnats and flies fear for spider web and the penny in the water on light reflection will look like a spider web due to their poor vision and hence they will move away. You would have seen this in restaurants and garden. 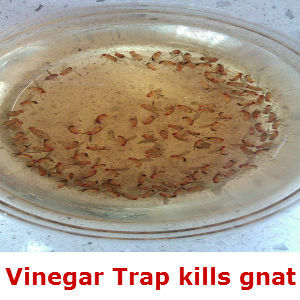 If have applied the above home made traps and are not successful in getting get rid of gnats. Then its time Check out the below professional and most effective products in getting rid of gnats by killing indoor and outdoor gnats. This is a simple fruit fly and gnat trap to provide 180 days of continuous fruit fly protection throughout your home. Each traps lasts 30 days and comes with 6 traps in each package. These traps require no maintenance, Simply fill trap with non-toxic Lure Solution and place near problem areas, Dispose of in trash after 30 days. 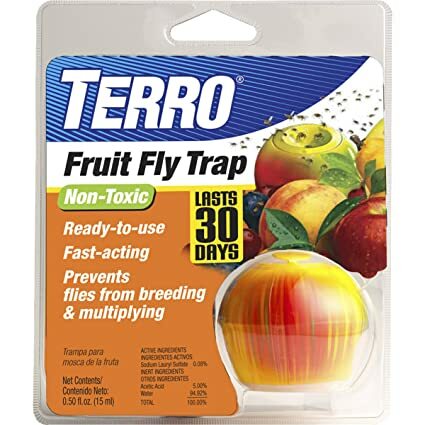 The traps are clear so you can easily find out if they are effective at killing the gnats and fruit flies. If you have very little time and too busy to create a home-made trap then consider getting this cheap but effective alternative. This trap comes in the form of an apple-shaped container where you pour the food-based liquid. This is the best fruit fly trap that you will need when you are in a hurry to get rid of annoying gnats. It is specially designed in apple shaped to lure fruit flies using a special food based liquid to lure. Gnats and fruit flies that enter and get trapped inside the apple dome. It can be used indoor or outdoor. This trap is Safe to use around food, children and pets - no toxic chemicals contained. UV Bugzapper is designed to lure flies, gnats, mosquitoes and other annoying insect pests using a two ultraviolet bulbs which are specially designed to attract flying insects. A protective guard prevents people and pets from accidentally touching the grid. As soon as the gnats and fruit flies touch the grid they will get trapped and killed by the hight voltage. No maintenance is required. As a chemical-free alternative, it is safe to use in houses, businesses, food preparation areas and hospitals. It has Two 10 Watt Ultra Violet lights that are irresistible for flying insects and gnats. It Instantly kills Gnats, flies and any other flying insects. 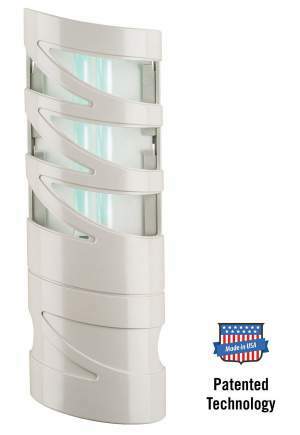 This is one of the best UV Bug Zapper helps in getting rid of indoor gnats. FlyWeb electronic ultraviolent bug zapper plug-in device becomes an important device When it comes to getting rid of fruit flies, gnats, and other insects without worrying about the the toxic and harmful chemicals. It can be used with any standard AC outlets and utilizes a 9-Watt UV light to attract bugs into a 600 square foot area. Once any fly or a bug gets into the enclosure they will get trapped with the adhesive glue board. No odours are emitted, so you won't even notice about its presence after installed. All you need is an electrical outlet to plug in this electronic fly zapper.Specially designed for Indoor Use Only. Fruit flies and gnats are repelled by the scent of essential oils like lavendar, basil, lemon oil, vanilla, peppermint etc. Using essential oils to repel gnats and fruit flies is the best way to get rid of gnats naturally. Essential oils are the nature’s best available natural gnat repellent. Below are the top 6 gnat repellent essential oils that repel the biting gnats naturally. Using lemon essential oil you can easily repel gnats and fruit flies, All you need to do is simply rub a sufficient amount of lemon oil on the plant that are affected with gnats. The scent of lemon oil will drove away the gnats as they are not able to tolerate it. 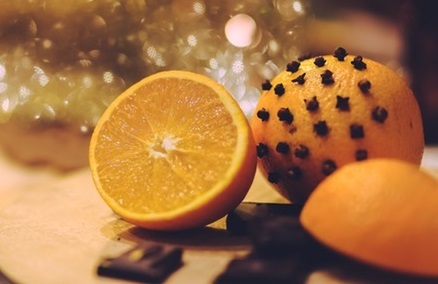 Tip: By diffusing the essential lemon oil into an essential diffuser, you can use it as both freshener and repellent by spraying it inside the house. Citronella (Cymbopogon nardus) is derived from lemongrass and which is a common ingredient in any natural or herbal repellents that repels insects, gnats and flies. 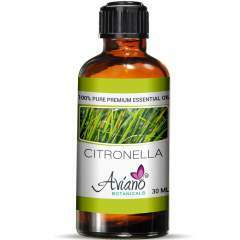 Citronella oil be used as a natural repellent for not only gnats but also mosquitoes, fleas, flies and creepy crawlies. How to prepare natural citronella oil gnat repellent? Take a bow filled with two cups of water and mix it with two spoons of citronella oil. Please be noted that essential oil will not mix well with water easily. So to mix it well add a few drops of liquid soap and mix them vigorously and pour the mixture into a spray bottle. Now, your natural and organic homemade gnat repellent is ready, Spray this mixture near the plants and trash cans to prevent the gnats coming back to your house again. The prepared homemade gnat citronella repellent is pet safe and will give nice citrus smell in the home when it is sprayed. does vanilla keep gnats away? Yes, Vanilla keeps the gnats away. As like citronella, Vanilla also repels that gnat with its strong scent. You can buy a bottle of pure vanilla in a local store or online store. The preparation of vanilla repellent is exactly similar as that of citronella except replacing citronella with vanilla. Peppermint oil also acts an excellent natural gnat repellent when it is mixed with the right ingredients. Also, Peppermint oil is available in almost all the kitchens. Take a bowl, Add teaspoons of water followed by two teaspoons of witch hazel and add 5 to 7 drops of peppermint oil. Mix the ingredients well and transfer the mixture into a spray bottle. Spray this mixture on your body and clothes at regular intervals when you are outside. This is one of the best homemade repellents to get rid of outdoor gnat especially when you're near swimming pool or beach. Eucalyptus oil - (eucalyptus globulus or ecualyptus citriodara) is another good natural insect, fly and mosquito repellent. The strong scent of eucalyptus oil confuses the gnats and making it very difficult for gnats to sense and find the direction to spot a host. It is also a best antibiotic for body and can be applied over gnat bites to recover soon. Take some pennyroyal, bay leaves and eucalyptus leaves, crush them well and Place the crushed leaves in a cloth bag and hang the bags around your house. This will take care of fruit fly and gnat problem in the summer month where gnats and fruit flies are more active and keep your kitchen away from gnat infestation. iGear iGuard Ultrasonic Pest Repeller uses the modern ultrasonic technology to drive pests away. It contains no harmful chemicals or poisonous ingredient in it. It just repels the pest without killing them. It is very easy to use, just plug and play and let the iGuard Repeller to take care of the rest. You can use this ultrasonic pest repellent in areas such as attics, basements, garages and large storage areas. You may require more than one unit when the area is big. iGear iGuard is a multipurpose device and it is very effective on flies, fleas house mice, roaches, black beetle, mosquitos, spiders, crickets, ants, wood ants, vermin and similar insects. This repellent Gnat is made up of plant-based active ingredients along with peppermint, vanilla and rose scent. It is highly effective at repelling buffalo gnats and black flies around the rivers and streams. It contains non-alcohol formula and it not sticky or greasy in nature. It can be safely reapplied as many as times. ​Lasts up to 2 hours before re-application may be necessary. 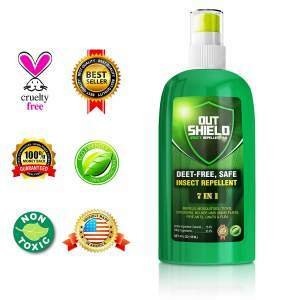 It repels Black flies, deer flies, stable flies, no-see-ums, biting gnats including buffalo gnats! These are sheets that contain an ingredient called oleander which acts as a natural repellent. You can put these dryer sheets around places where gnats are seen more in number. You can control and get rid of outside gnats by just putting these dryer sheets around the lawn, garden or near your indoor plants area. It contains only ingredients recommended as safe by FDA and contain no DEET. It can repel gnats, sand flies, ticks, chiggers and fleas as well. It doesn’t give no stinky smell like other popular insect repellents. Borax acts an excellent deterring agent for the gnats. After you identified the breed source and cleaned. Sprinkle few borax over the areas where previously infested by gnats. Once the borax is sprayed over the breeding source it deters and prevents the gnats and flies from breeding. It has maximum deet content in convenient pump spray, It protect you from all biting gnats, flies, chiggers, ticks and fleas up to 10 hours. While other repellent will fade away as soon as you get good amount of sweat but this max deet repellent will last and best for mountain climber and people running in the woods. It is made up of unscented formula and it is only repellent that effectively repels deer fly up to 10 hours. Extermination by smoking the home using sulfur dioxide gas is one of the ways to get rid of gnats completely. But take a note that whole extermination process is high risky and should be done by the professional exterminators. Sulfur dioxide is not only harmful to the gnats but also the human beings. Usually, gnats will be seen flying near the kitchen sink area, Vegetable oil has the stickiness and when oil is poured into the kitchen sink, drain gnats or Sewer ﻿flies will get attached to the vegetable oil and those drain flies will not be able to get rid of themselves from oil. Also, any eggs laid by gnats under the kitchen sink will also get attached to the vegetable oil and those gnat eggs will not hatch once it gets contacted with the vegetable and it prevents the spreading of gnats. If there is no vegetable oil available, then you can use olive oil or any oil which is also thick and dense to bind the gnats and take them away. You can also use petroleum or Kerosene oil into the discharge water sinks to destroy hidden gnats and their eggs. Petroleum or kerosene will not be sticky as like vegetable oil. But due to their octane content, they will burn the eggs and kills the gnats within minutes. Petroleum and kerosene oils are highly inflammable, so after pouring a 2-3 tablespoon of petroleum oil don’t light up anything, after 5-10 open tap water to wash away any residues of petroleum to ensure your kitchen sink doesn't catch fire. Ammonia will get rid of any flies hanging around the area. One downside of using ammonia to kill gnats is to wait for few hours allowing the ammonia stay and dilute by itself. Until then you cannot use the sink to clean your cooking utensils since ammonia is also harmful to humans as it is harmful to gnats. Ensure that you are wearing an eye and mouth protection while pouring ammonia into kitchen drains. It is recommended to use ammonia only on weekends when kids are not around your kitchen. 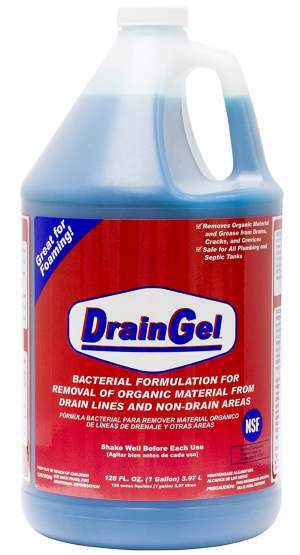 Drain Gel is a concentrated biological which is specifically designed to treat organic matter build-up in sink drains and garbage disposals where drain flies or drain gnats harbor and reproduce. It is basically a drain cleaner to dissolve and removes the organic materials from the drains, crevices, cracks and drain pipes by leaving nothing to feed the drain flies or drain gnats. It is one of the widely used product for gnat removal from kitchen Drains and sinks. Besides the chemical ways, there are organic ways available to get rid of gnats and flies. Below is the list of organic ways to eliminate gnat infestation problems. Hydrogen peroxide is another great ingredient to kill the fungus gnat larvae and eggs in the house plant soil. You can use this on all the plants except the younger one which may not withstand the concentration. First you must allow the soil in the pot to dry. Take ordinary 3% hydrogen peroxide solution and mix it with water. The ratio of mixture should be 1:4 meaning 1 part of hydrogen peroxide solution and 3 parts of water. You may sometime hear a hizz sound while preparing this solution. It is because of oxygen releasing from hydrogen peroxide. Beneficial nematodes are microscopic earthworms called as parasites or carriers since they carry some bacteria inside them. Once you lay these beneficial nematodes where fungus gnats are heavily infested, they will search for them and release the bacteria they carry inside their body. The released bacteria will destroy the gnats in your plant. Please be noted that the nematodes and the bacteria carried by them are not harmful to human, pets and plants. The will remain active for 18 months and continue to be effectively working on gnats. Bacillus thuringiensis (Bt) is a natural bacteria that kills many larvae, insects and caterpillar. They are under well packaged, these beneficial bacteria are similar to beneficial nematodes. Check out the Gnatrol beneficial bacteria to control fungus larvae. Basil Repels flies and mosquitoes, place basil plant near to the house plants fungus gnats are flying around. It repels them away. People love lavender flowers and oil but gnats do not. Naturally lavender repels the gnats away from the garden or lawn when it is planted. Grows on rocky, hard and shallow soil that repels. Lemon thyme doesn’t repel insect naturally but you release the essence from the leaves and stem by squeezing them. To Test the tolerance of the extract, apply a small amount on the arms for 2-5 days and then apply to your whole body. Another way to get rid of fungus gnat is to use the house plant insect controls on the plants. Bonide Product 951 Systemic House Plant Insect Control is a very good insect control that comes in the form granules. Very convenient and ready-to-use granules provide effective, long lasting insect control for 8 weeks. This product is excellent for indoor no odor, no spray, no mess formula. Just sprinkle the granules over the soil in houseplants, lawns and trash cans. When you water the granules will dissolve and dissipate through the soil and reach the roots. Gnats are attracted towards bright lights, LED Ultraviolet light bug zapper has 10 LED bulbs to produce bright light to lure, catch and trap the pesky gnats. The powerful vacuum suction draws the trapped pests into a collecting bask at the bottom where the gnats and other insects die there. LED ultraviolet Bug Zapper automatically turns on at the evening and turns off during morning using a smart light operated sensor. It is 100% Safe, Non-poisonous, No Chemicals, kids and pets environmental friendly. 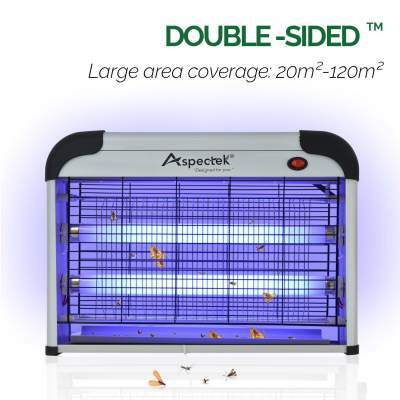 This LED Ultraviolet Light Bug Zapper can Control night flying insect up to 650 sq.ft. After cleaning and destroying the breeding sources of gnats, first thing we should do is to seal the cracks, holes and gaps in the house using as a good sealant. 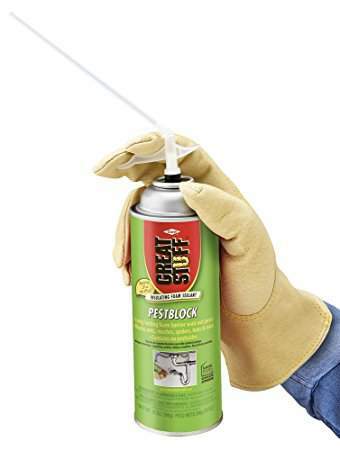 Great Pest Block insulating Foam Sealant is pest blocking insulating foam expands to fill, seal and insulate gaps up to 1 in. (25mm), forming a long-lasting, airtight and water-resistant barrier. 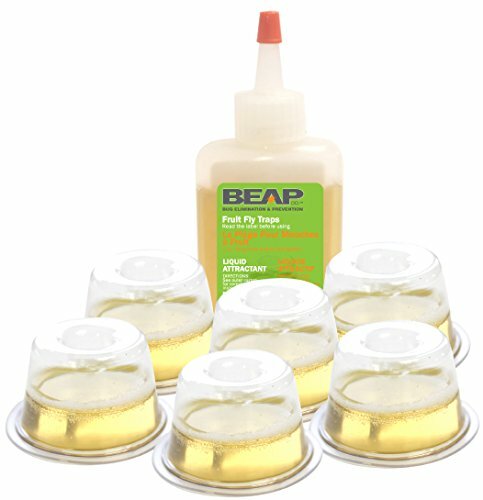 It takes only 10-15 minutes to seal all the gaps, cracks and holes using this great pest block insulating foam sealant. ​Sealing the cracks and Openings prevents gnats from coming again into the house. It has a specially formatted bitter ingredient that blocks pests out of home by sealing and removing entry points. This is one another effective method to control plant gnats by placing a protective layer over the soil as top dressing to avoid the direct contact of soil for the gnats to lay eggs. We can control the fungus gnats by laying a protective layer or sheet over the soil of house plants. 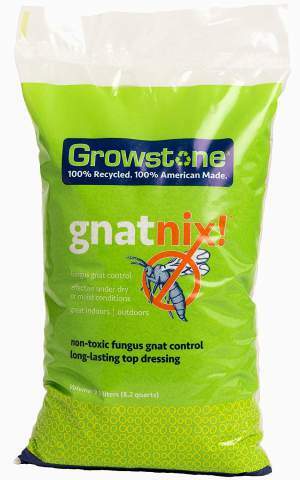 Gnatnix is a scientifically proven and non-toxic fungus gnat control, it is made up of 100% recycled glass and completely free from harmful pesticides and chemicals. All you need is to apply about ½” to ¾” GnatNix layer over the soil. 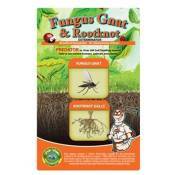 By adding this top dressing on soil, it is not just acting as an effective barrier against fungus gnats but also, it deters the female to lay eggs on soil and also, prevents the gnat eggs from hatching and emerging adult gnats. It completely controls the population and reproduction of gnats. Alternatively, you can spread a thin layer of charcoal or activated carbon over the soil that acts as barrier layer from preventing the gnats to lay eggs directly on soil and hatch. You can also spread a thin layer of cigarettes on the soil about a 1/4th inch. Cigarettes are harmful to humans as well as to gnats. The tobacco smell will reflect them away. It is true, gnat and flies inside the house can be controlled and thrown away using simple kitchen ingredients that are available in every kitchen. We can prepare another homemade trap but this time using two kitchen ingredients. We need as large disposable sheet or plate. The disposable sheet has to be place outside the kitchen after mixing black pepper and molasses together forming a sticky disposable trap for the gnats. After few minutes, a strong scent released from the mixture will attract gnats, flies and mosquitoes towards it. The stickiness of molasses will ensure the flies and gnats get tied to it. Once a large number of gnats stuck and if you don’t see anymore around the trap dispose it. This is the one of the easiest ways to get rid of gnats outside kitchen without worrying about the ingredients safety. A natural pesticide when it used as a spray it is more effective on gnats, moths, beetles etc. Active sulfur compounds helps in terminating various fungal infestations in plants. When garlic is crushed and used in combination with chilies it works as an effective deterrent against rats, mice and deer. How to Prepare Homemade garlic spray to get rid of gnats ? We need 3 large garlic heads and 2 cups of water to prepare this spray. 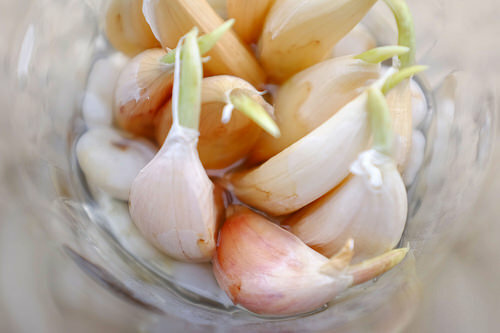 Crush the garlic in blender to make it as smooth as it is possible and mix it with 2 cups of water. Place this mixture in a dark area for 1 days and strain the residues after one day. Pour this mixture into a spray can and add another cup of water to dilute the concentration. Remove the top soil of the plants and spray over the soil. The garlic spray will not allow the fungus to grow over the soil. Clove is a spice ingredient that will be available in the kitchen which deters flies, gnats, mosquitoes and insects with its strong aroma. Take 2-3 lemons and cut the lemons into two halves. Insert the cloves into the lemon halves and place it near a place where you want to kick the flies and gnats away. Surprisingly you will notice none of the flies will come near to the place where cloves and lemons are kept. 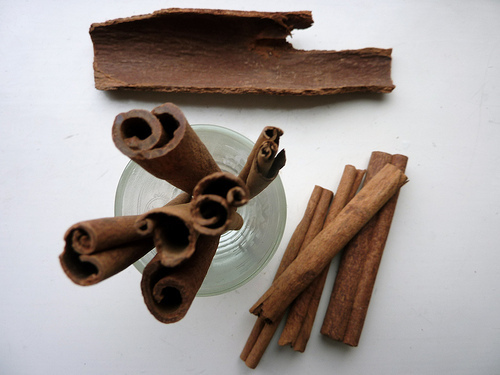 It is a very simple procedure, sprinkle sufficient cinnamon powder on the top layer of potting soil as dressing and rest will be taken care by the cinnamon. Repeat the sprinkling process for 2-3 weeks to completely control the ﻿fungus gnats in the houseplant pots. There are many that kills and feed on the insects, those plants are called carnivorous plant. These plants can also help to trap buzzing gnats inside the house. There are many plants that trap insects and flies that comes near to them. Pitcher plant is one of the largest carnivorous plant group. They trap the insects using the gorgeous looking traps and closing the trap as soon as the fly object touches any part of the trap. We can Grow these carnivorous plant in pots sitting in a saucer of water around the plant where gnat are flying around to trap them and kill the adult fungus gnats. Another largest fly trap plant loved by kids, This Venus plants are more suitable in growing them in a pot or terrarium inside your house where it attracts bright sunlight. Placing this Venus fly trap plants around your indoor house plant will reduce the adult gnats by trapping and feeding insects on their own. These are party or outdoor equipment, but they are not just normal party items, They are specially made to take care of insects, flies and gnats outside your house in lawn or garden. The below products will help you to get rid of outdoor gnats. 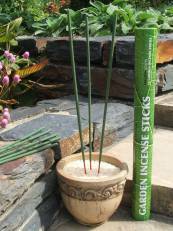 If you want to spend time in your garden outdoor peacefully use the citronella garden incense sticks. These incense sticks are made up of a concentrated mix of citronella, Brazilian andiroba, rosemary and thyme. Each incense can last up to 2-3 hours. It is the best natural way of keeping gnats away when spending time around pools, patios and barbecues. It gives a fresh aromatic scent as it contains essential oils which doesn’t spoilt your mood. Effectively and silently repels not only gnats but also mosquitoes, black flies and other flies as well as biting objects. It is a battery operated, cordless, portable and light weight pest control repellent great for the garden and outside the home. Citronella by nature it repels the gnats and candles made with citronella essential oil does the same. It is specially designed for outdoor amusement especially for candle light dinner or partying around swimming pool. It is very bad when you and your family is having a hard time in garden or outdoor party due to this gnats. 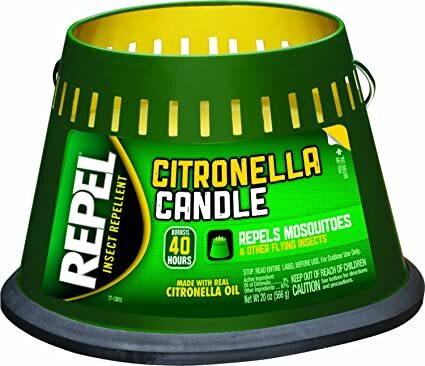 Citronella triple wick candle can solve this problem by repelling away and it can last upto 40 hours so you can enjoy your outdoor moment uninterrupted. Would you believe it yellow fly traps are voted as the best trap to kill gnats. So spend some time and hang this double sided yellow sticky fly paper in kitchen areas or where most of the gnats are seen. The gnats will get stick to the fly paper and dispose it in the morning. Replace the fly paper every evening till you get rid of all adult gnats completely. This is an effective way in getting rid of gnats is to use the fogging products when you are dealing with a wide area. Probably this is one of the best ways to get rid of gnat swarms. 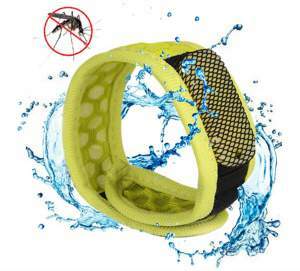 Although there are many flyswatters and repellent bands available in the market, we have researched and filtered down into the best flyswatter for gnats and the best gnat repellent wristband for you. 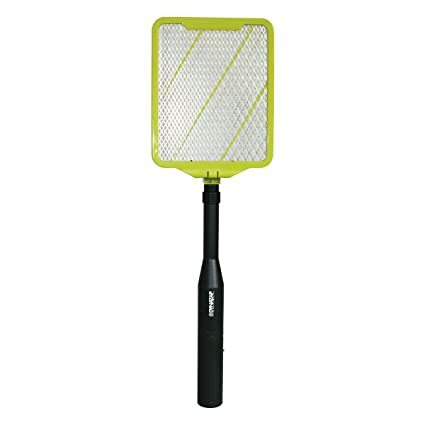 Flyswatter comes in handy when they kill gnats and other flies effectively without missing them. Dynazap fly swatter is must have in every home where there exist insects and fly problem. It is fully extendible up to 3 feet in length and the head of the dynazap can be bended towards multiple directions to reach out hard areas like ceilings. It is portable and has a safety switch to turn on and off. Ideal for camping and other outdoor activities. Ganat repellent wristband is made with 2 plant-based oils in refill pellets, is the ideal all-natural, deet-free protection, that's extremely effective to repel mosquitoes, gnats, spiders, fleas, bedbugs, cockroaches, or centipedesl. It contains No DEET and safer for all ages. It repels mosquitoes, gnats, midges and other biting insects without harmful chemicals or annoying fragrances. It comes with waterproof protection that is ideal one for sports, camping, fishing and gardening activities. One of the best ways to get rid of gnats is to use your hairspray on them. No need to go for expensive hairspray, cheaper one will do the trick. Hairspray will make the gnats to suffocate and stiff leaving them to dead. Few people had said that hairspray seems to be more effective on gnats rather than insecticide spray. This technique will be effective if you’re dealing with smaller number of gnats. Diatomaceous earth is another organic and non-toxic method to save vegetables from any garden pest including gnats and flies. It is made up of fossilized remains of one-celled plants called diatoms. Diatomaceous contains silica shards that shred any pest that walks on it. This method is purely to control the fungus gnat larvae. Take a potato and slice it to 1 inches and 1/4 th thickness. place the slices on the soil of the gnat infested house plants potting medium. Leave the potato slices undisturbed for 4 hours. The potato slices will attract the fungus gnat larvae to come up from the soil and urge them to eat the slices, they will get attached to eat. Replace the potato slices every morning. Withing a week, you can catch as many as larvae and control the fungus gnat growth in plants. Kitchen gnats are usually seen around the sink, garbage collector and over open food items. Below are the well-researched ways that help to remove gnats from a kitchen. Like any other insects and flies, gnats primarily live on the leftovers of food in the kitchen. As soon as you finish cooking, Cleanup all the spilt foods and don't leave any food leftovers. Make the gnats starve and go away. Do not leave your food items or ingredients open, cover them with Ziploc bags or airtight containers and keep it in your refrigerator. Keep your cooking area and sink always dry as much as possible. The dampness and moisture in the kitchen sink or cooking area act as an ideal and conducive environment for these gnats to mate and reproduce. Don’t Leave your kitchen cupboards or windows open as it can attract gnats from outside. Always ensure the dust bins and trash cans are covered, if the garbage cans are left open, gnats can live by eating vegetable decays and annoy you. So, don't give a chance to gnats. Don’t accumulate kitchen wastes in the trash can for 2-3 to dispose. Dispose the garbage as soon as possible and seal the lids always particularly during the night. Putting a Meshing to your kitchen window and exhaust fan hole will prevent the gnats coming into your kitchen. Watch out your kids when they want to eat banana, apple or any fruit. They may stick the skin or uneaten fruit under the mattress, bed or place where it can attract fruit flies and gnats to develop. Cut a lemon into half. Put it down into the garbage can. 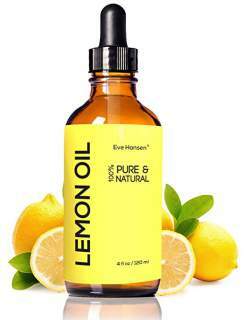 Naturally lemon has the tendency to get rid of bad odor. Also, It will get rid of the gnats since lemon is rich in citric acid content. Check and fill the holes and cracks on the floors. Also check for the plumbing fixtures and don’t leave any opening or dampness around the plumbing fixtures. Don’t allow the dirty dishes to settle and stand in the kitchen sink. Make Regular Cleaning Habit - Not to just to get rid from gnats, Take a vow to adopt regular cleaning habit, for an instance, if something spills when cooking, wipe it out quickly, By doing so you're are denying any food for gnats. Be cautious on Perishable foods - Always keep an eye on the perishable food items like fruits and vegetables. Get rid of them, if they seem to be over-ripened or more than 5 days old. Best is to store these food items in refrigerator. Continuously look for potential food sources for the gnats and eliminate them immediately. Gnats on Plants : How to Remove it ? We can get rid of gnats in house plants by baking the soil and changing it and also by avoid over watering the plants. Once overwatering is stopped the soil becomes dry and not suitable for the fungus to grow so the gnat larvae's won't have fungus to live.